“I had an unfortunate accident that left me having to change my career at 50 years old. 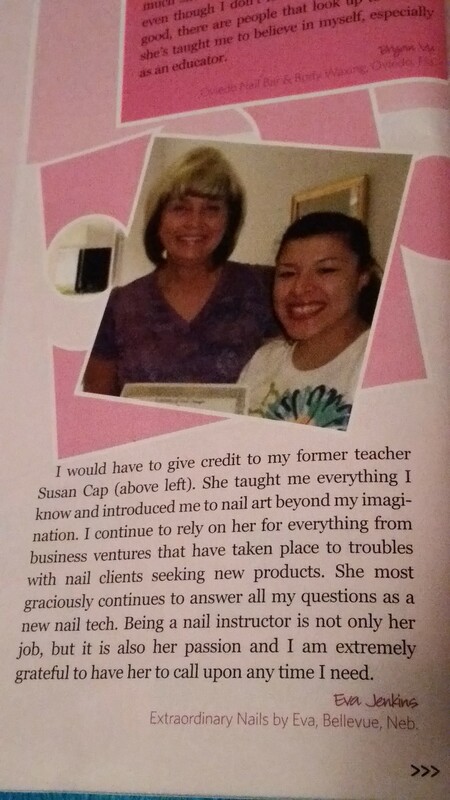 I came to Sue to sign up for nail tech school and felt so comfortable with her. She assured me that you’re never too old to go back to school. When I first started I was nervous and hadn’t studied in over 38 years! Sue is the greatest teacher. She sat down with me one on one and gave me the confidence that I needed. She also teaches you many different types of designs and goes out of her way to make sure you learn the correct techniques, while keeping it fun and exciting. Thanks to her, I can now have an amazing career. 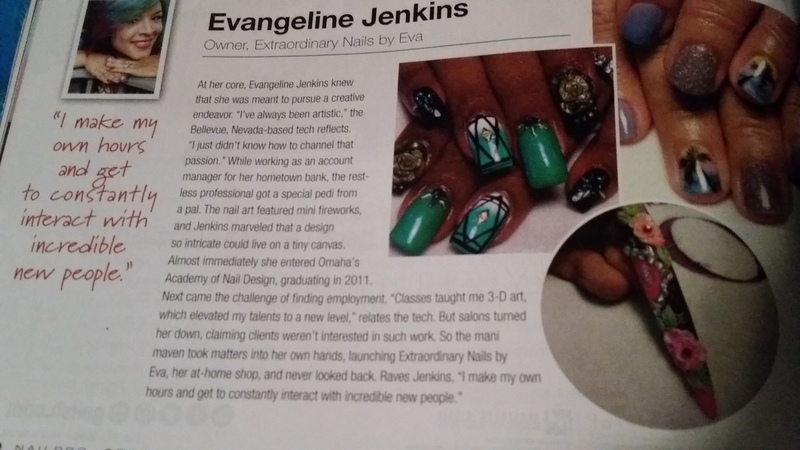 “Hi my name is Yessica Herrera and I was a student of academy of nail design in July 2014. My experience there was great from the day I walked in to the day I graduated. I remember the day I came in Susan welcomed me in made me feel very comfortable. The girls that were currently attending were very nice and welcoming as well. Learning at academy of nail design was a great experience , Susan’s techniques were just right for me she was always there to help and is hands on. I still keep in touch with Susan and even though I have already graduated a year later I can still contact her for questions. She is very dedicated and does not mind to assist you with anything you might need help with.